A trip to the hospital emergency room is especially stressful for seniors with Alzheimer’s or dementia. Hospitals are noisy, confusing environments that are full of strange people, bright lights, and reflective surfaces. Even worse, your older adult isn’t feeling well or is in pain and they’re getting touched, prodded, and poked. All of this can lead to agitation, delirium, aggression, worsening of dementia symptoms, and other challenging behaviors. But there are ways to make the situation less disorienting for your older adult. Reducing their fear and confusion helps them stay calm and cooperate with the doctors and nurses treating them. We share 9 tips that help make your older adult’s next trip to the hospital easier and less stressful for both them and you. In addition to your older adult’s health insurance information, bring all essential legal and medical documents. 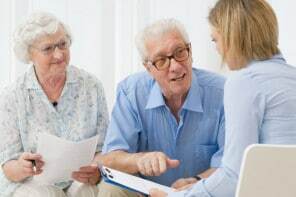 This can include Power of Attorney, DNR / POLST, advance directive / living will, and any other documents necessary for your older adult’s situation. Basic information – height, weight, etc. Brief medical history – past surgeries, need for hearing aids, significant health conditions, etc. Having this information written down saves you from trying to recall important information like when they had that surgery, when they were diagnosed with a specific health condition, or how many milligrams of a specific medication they’re taking. Many people working in hospitals don’t understand how dementia can affect behavior and communication. Typically, there is little to no training for the staff to teach them how to treat someone with dementia. Calmly tell anyone who interacts with your older adult that your older adult has dementia and briefly name the top symptoms they need to be aware of. Make it clear that your requests aren’t just “nice to have,” but they will help avoid unnecessary (and time-consuming) conflicts brought on by dementia agitation. You may also want to ask to dim harsh lighting while waiting or to be moved to a quieter area – all to help keep your older adult calm. You will need to provide information and answer questions, especially when you first arrive. If possible, ask a family member or friend to go with you or meet you in the ER. 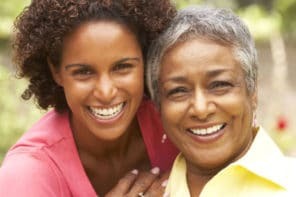 They can sit with your older adult to help them feel calm and secure and you can focus on communicating important information to the hospital staff. Someone with dementia often can’t or won’t accurately report symptoms or pain. They also may not remember what happened or why they need to be in the hospital. You’ll need to speak on their behalf so they get the correct treatment. Jot down a few notes so you can briefly describe the symptoms and events that caused the visit. Having notes to look at helps you keep things brief and makes sure you don’t forget an important piece of information. While you’re in the hospital, keep taking notes if you notice expressions of pain or changes in their symptoms so you can update doctors and nurses. As much as you can, stay close to your older adult. You’re the only familiar face in this confusing environment and having you near will be calming. Staying close also means that you can keep an eye on your older adult’s symptoms and needs. You’ll know right away if they’re in pain, need a bedpan, need a drink of water, or if their symptoms change. That means you can accurately report their needs and your observations to hospital staff. People with dementia often pick up on body language. Even though this is a tough and scary situation, do your best to stay calm and focus on the positive. That will help your older adult feel calm and safe, which helps minimize challenging behavior. Being in an unfamiliar hospital environment can be disorienting and confusing to someone with dementia. They may ask why you’re there or ask to go home. Then, if possible, distract them with a pleasant activity. Often, going to the emergency room means waiting for hours if the situation isn’t immediately life-threatening. Depending on the specific situation, it may help to bring a simple, calming activity to give your older adult something positive to focus on and help them stay busy while they wait for treatment or tests. This could be a box of tissues to fold or fiddle with, a deck of cards to shuffle and arrange, a photo album to look at, or a fidget quilt. Others may be comforted by a therapeutic doll, stuffed animal, weighted lap blanket, or a sensory toy. Some older adults may enjoy listening to their favorite music or having you read to them.